AMARILLO, Texas — I cannot get past a bit of body language I observed Tuesday night at the Amarillo Independent School District Board of Trustees meeting. I watched several AISD constituents stand before the board to offer public comment on the issue that brought them to the school district board room in the first place. 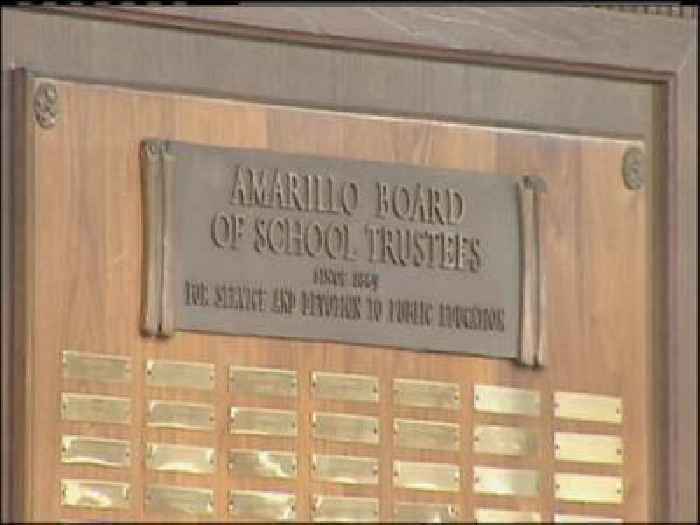 They sought to speak to the board about the sudden and shocking resignation of Kori Clements, the head volleyball coach at Amarillo High School. Clements quit citing pressure she received from an AISD parent who didn’t like the lack of playing time her daughter was getting from the coach. Some of the constituents who stood before the board spoke in tones that reminded me of a scolding you would get from your mom or dad. Many of the trustees never looked up from the dais where they sitting. They didn’t look their scolding constituents in the eye. My point is that Mom demanded respect when she thought I messed up. I needed to show that respect by looking her in the eye. I couldn’t help but think of what an AISD constituent might have said to trustees — particularly the one trustee who is believed to be the cause for Coach Clements’ resignation — while he or she was lecturing the board about the merits of offering total support for the school district’s educators. It might go something like this: Ladies and gentlemen of the board, I am here to talk to you tonight about the resignation of a highly respected coach who has stated that she didn’t get the support she deserved from the board and the administration. She said she was pressured to do the “politically correct” thing . . .
Oh, and by the way, I would appreciate it very much, board members, if you would look at me while I am talking to you. This is serious stuff and I think you owe it to me — as a taxpaying constituent whose money pays for this school system — to look me in the eye while I am addressing you. I would bet you real American money that constituent would have received a standing ovation from the crowd that had crammed into the meeting room. The trustees — especially the one who is believed to have pressured Kori Clements to quit her job after one season — most surely could have shown their “bosses” more respect than they did Tuesday night. How? Just look ’em in the eye when they’re speaking! AISD board of trusteesAmarillo HS volleyballAmarillo ISDKori Clements.